Chocolate Toothpaste: Have Dessert, Brush, and Have Dessert Again | OhGizmo! Remember how you wished that chocolate-flavored toothpaste existed back when you were still a kid? Well, you might have grown several feet since then but now Theodent has made that wish come true with their new line of fluoride-free, chocolate-flavored toothpaste. 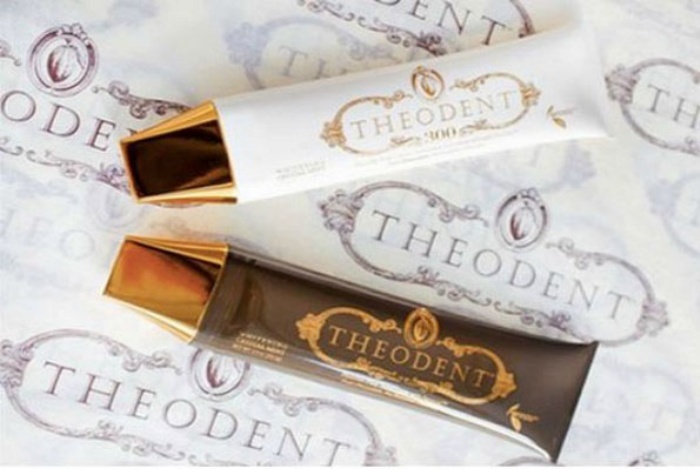 This probably isn’t the first time someone decided to make toothpaste that made it seem like you were brushing chocolate all over your teeth, but Theodent is different in the sense that the chocolate flavor isn’t there just for novelty’s sake. Rather, it’s there because of Theodent’s toothpaste formulation that contains a patented substance obtained from the cacao plant that gives it its distinctive chocolatey flavor. It’s called rennou, and it’s non-toxic and safe-to-ingest (although you probably shouldn’t squeeze it and eat it right out of the tube), so you won’t have to worry about kids accidentally ingesting it while brushing. Theodent Classic is sold at $10, while the extra-strength variant Theodent 300 is priced at a whopping $100.